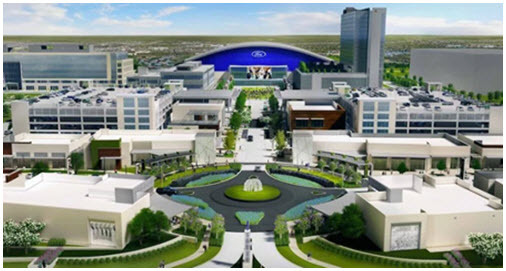 ​FRISCO - Bank of America will move into The Star in Frisco, operating out of the eight-story, Class A office building where the Dallas Cowboys headquarters will be located. Bank of America plans to occupy more than 60,000 sf within two floors. The move is expected to take place by early 2017. With the move, the company will be co-locating about 200 employees from Bank of America and other brands of the company—including Merrill Lynch and U.S. Trust—into this office. According to the company, having employees from these different brands in the same location will allow them to closer work together across departments. The Star’s 398,000-sf office building currently houses the Dallas Cowboys’ business operations. More corporations are expected to move into the building in the coming years. At 91 acres, The Star development also includes retail, restaurant, hotel and medical space.